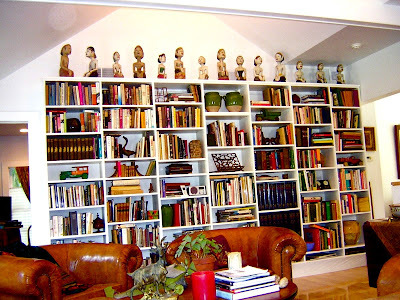 Books Books Books: What Makes a Good Personal Library? I really don't have a library. I have a few books which I really liked and kept as well as a few really old books but the rest I gave away when I moved and am giving away to the library in my town. Most of the voluminous private libraries I've seen are for show only. Helen, may I move into one of your libraries? 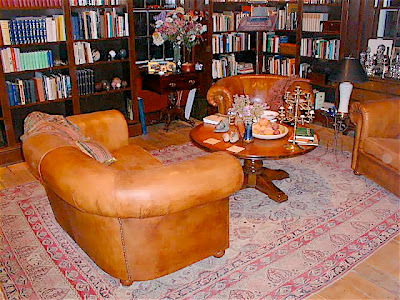 We have leather chairs, but none of them match; on the other hand, we have a lot of original art, since my husband is a painter, so I guess I'll stick with our mismatched stuff. I'm pleased that you have old favorites and paperbacks in your libraries. 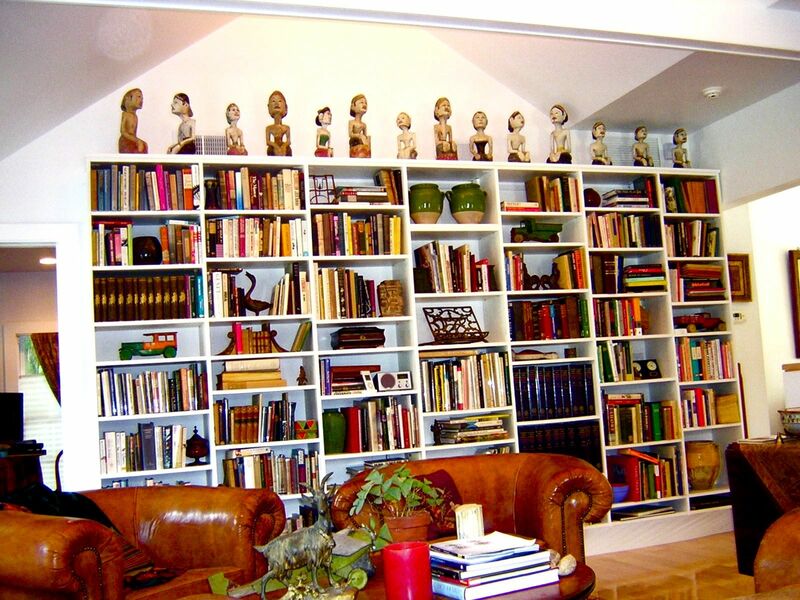 Book-lover, not mere collector, you! 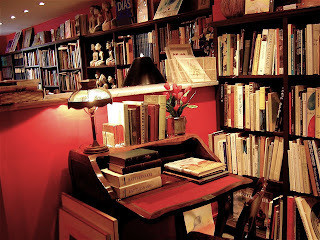 ......... just read your piece, What Makes a Good Personal Library?, and I loved it. I've yet to go to the Financial Times link, but I will. I'm going to share it with my sister. Thanks for sharing. You write beautifully! Just went to the Financial Times link and loved that too. I enjoyed seeing the lists of these author's favorite books and don't know what I would list as my favorites if I had to do so.......which I don't. I'd like you to know how much I enjoy reading Your blogs. This one is really amazing. The pictures of your libraries are great. I am looking forward to your next blog. Hi, Man of la Book. 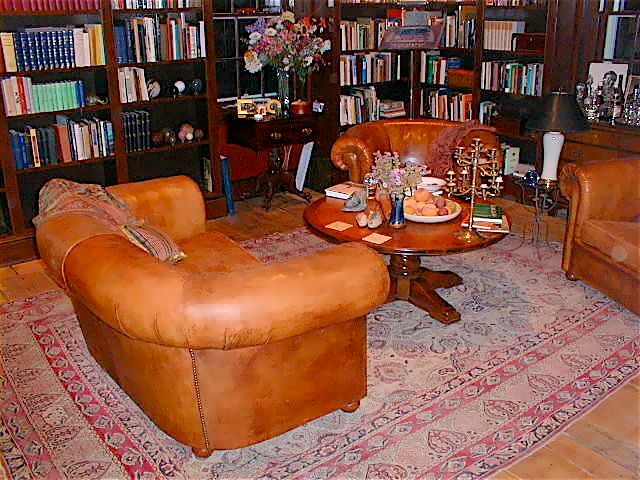 Your definition of a personal library is just as good as mine: a few good books and a comfortable chair. But many private libraries can be “personal” ones as well – which is what I titled my post – in that the books need not be valuable, but only important to you in some way: important enough to drag heavy boxes of books from place to place, as I (and others) have done over and over again. As for you, Pamela: you can move into any one of my libraries any time you want; and I will be happy to sit in one of your comfortable mis-matched chairs and look at your husbands paintings. And I’ll also look at the pristine pages of your books and think about how I would mark them up (the polite phrase is “annotate them”) if only you’d let me…. Helen, you scare me! Not with the invitation or hint of a return visit but by the threat to mark up my books! I know you are only kidding but may restrict you to the coverless copy of the poems of Robert Burns. Not much could hurt that book. Enjoy your blogs and your idea of a good library.